I teach freshman composition courses at a community college in Texas. I spend a great deal of time and effort, from the very first day of class, to teach them about the difference between using a source properly and plagiarizing that source. They just do not see the difference. They point to articles like this one as an example: “See? This reporter does it. They all do. Why is it any different for me?”. I feel like I am fighting a losing battle. Even editors are forgetting the rules. I recently submitted a short freelance piece to a local newspaper, and when something was finally published with my name on it, not one word of what I written was there. They had taken a press release and paraphrased it – poorly, I might add – and published that instead. They were shocked when I contacted them shortly after the posting went up and asked for my name to be removed. They didn’t have a problem with giving me their words, so they didn’t see why I should have a problem using them. I had a big problem with it. I admire your very calm and level-headed response, and I hope that he responds accordingly. Thanks for sharing your story. Appalling. I wonder who wrote his award winning pieces of journalism before? I’m sorry, but those who are found thriving on the backs of others should be held accountable in more ways than apologies and donations, especially within an industry that assumes a level of trust with their own consumer. Shocking, but in a way, not really. Plagiarism is getting all too pervasive, especially in the supposedly trustworthy traditional media. I hope you get a quick, apologetic response. If this Allardyce fellow ignores you, he does so at his peril, especially after the way you helped cover the Cooks Choice episode. What really makes me sad is that for every case like this one, where the victim is able to methodically fight against the intellectual theft, there must be many more that the original authors don’t even find out about. I’ve been following this on Twitter. I salute you for getting to the bottom of it so swiftly and for laying it out so comprehensively here. Ed! I am appalled!!! Seriously! I can not believe this, especially after you were so instrumental in helping me (and others) with the Cooks Source issue. I hope you get everything you are asking for, here. PS. Will twitter and post about it. Any new developments as of now? …perhaps it didn’t occur to you that there may be more than one Jason Allardyce in existence in Scotland! I am the lonely one from Callander and Wolfspider is a web design company I run. 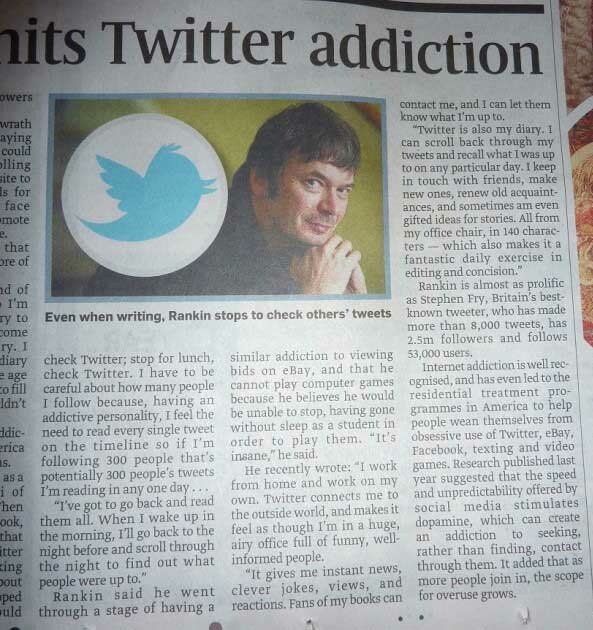 I have never had an article in the Sunday Times. One needs to check ones facts a little more carefully.